Horse Tack Now is an online horse tack store specializing in premium horse tack products. Take a look at this High Port Bit that we have in stock. This Robart Pinchless High Port Bit with Copper Inlay uses pressure instead of pain making it more convenient for your Horse. This product has a copper inlay and measures 16mm in the mouth with 7'' shanks. We provide top quality horse tack products for all equestrian riders. 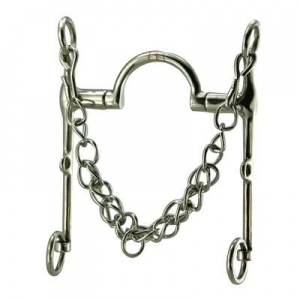 When buying Robart Pinchless Bits at Horse Tack Now, rest assured you are getting top quality horse accessories at low prices.